This That and Everything in The Middle: Conscious Shopping or...? I just had a thought I felt like sharing with you. 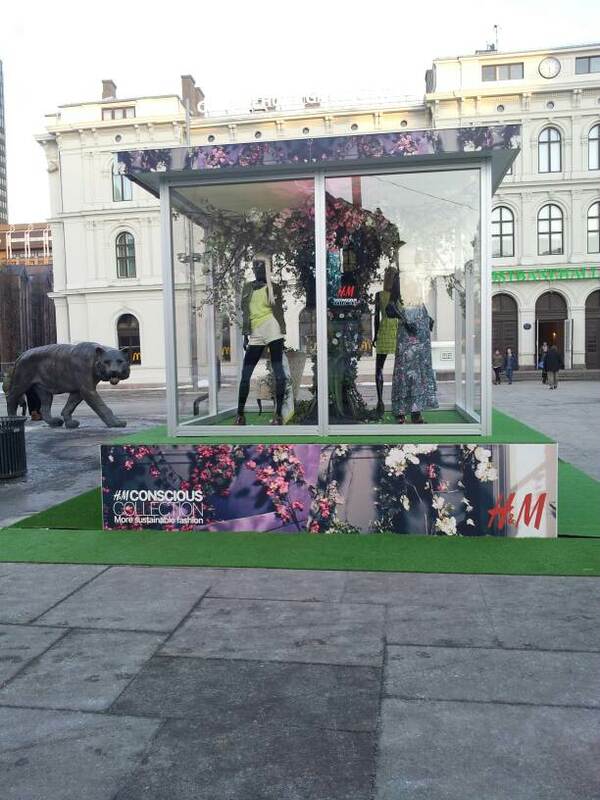 Today my boyfriend got called up by Greenpeace about their project with H&M and their Conscious collection. In short the Conscious collection by H&M is all about degradeable fabrics,less chemicals in the production of the clothes and better benefits for their employees working with the clothes. I'm not going to be all political and cynical about how much of the profit goes to the employees in Bangladesh and soo on,but I was thinking about less multimillion$ corporations selling and producing clothes,the "little man". Here in Norway and throughout europe we have a lot of brandstores; VILA,Vero Moda,Jack&Jones,Pieces, and they have one thing in common,they're all part of Bestseller A/S founded by the same Danish man. Though one of the biggest and bestselling brands in Europe. Other noteworthy stores are Lindex and Kappahl,but I don't know they're operating outside Scandinavia. All of these chains has started their "way to a more sustainable future" and I think it's a great initiative of course,but I am afraid that stores that can't compete financially and is prohibited financially isn't able to make the same measures. I see what H&M gains by doing this,they're international and has been involved in some quite controversial exposion lately,by doing this they redeem themselves and get to play the "good guy" by showing of their positive intention of a better future...and it doesn't hurt to kill a little competition along the way. Don't get me wrong I love H&M, 3/4 of my closet probably consist of their clothings. I even have some of their Conscious collection clothing,but that was just an added bonus to a nice dress. If every company must follow in their footsteps they have to increase their prices too and I'm a poor student. So for now I'll shop for myself and what my total allowes me.